Hassan Karajah, Palestinian youth activist and organizer, was released after nearly a year and half held without charge or trial under administrative detention late on Thursday night, 9 November. He was supposed to be released in the afternoon, but his release was delayed for hours; his family and friends waited for over six hours as the weather grew dark and cold outside the gates of the Ofer prison in order to welcome him. He immediately went to his family home in Saffa village, where he was received by hundreds of friends and family members. He was seized on 12 July 2016 at the Beit Ur al-Foqha checkpoint near Ramallah and four days later ordered to administrative detention, imprisonment without charge or trial. He was welcomed by, among others, his twin baby girls, Sarai and Kinza, born several months after he was imprisoned; he and his wife, Thameena Husary, had been married for only six months when he was arrested. She was barred from visiting him for over two more months after. Development Project, and his advocacy for boycott, divestment, and sanctions (BDS) against Israel. During his time in prison, he remained an activist; he was involved in the collective hunger strike to free Bilal Kayed in 2016 and once again in the Dignity Strike of April-May 2017. He is also involved in a grassroots project called Tijwal Safar, which organizes political tours in the West Bank, Jerusalem, and occupied Palestine ’48 of Palestinian villages, especially those threatened by Israeli land grabs, settlements and racist policies; operating under the slogan, “If you walk the land, you own it,” it has brought hundreds of Palestinians to targeted villages and farmland. 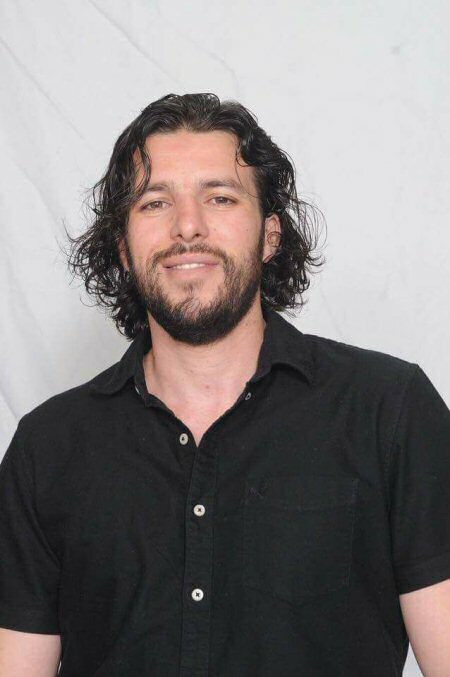 This is only the most recent arrest for Karajah; from January 2013 to October 2014, he spent 22 months in Israeli prison, charged with allegations of participation in a prohibited organization (all Palestinian political parties are prohibited organizations) and contact with an enemy state (frequently used to target Palestinians who travel to Lebanon for conferences and other events.) He was the subject of an international campaign for his release, which highlighted the Israeli targeting of Palestinian human rights defenders. Karajah was one of over 450 Palestinians who remain held captive in Israeli jails under administrative detention orders for imprisonment without charge or trial, and one of 6,200 total Palestinian political prisoners in Israeli jails. Administrative detention orders are based on “secret evidence” that is not available to either the detained person or their lawyer, and they are indefinitely renewable; like Karajah, Palestinians often spend years at a time jailed without charge or trial under administrative detention. There are currently three Palestinians on hunger strike in Israeli jails, Hassan Shokeh, Hamza Bouzia and Bajis Nakhleh – two of them, Shokeh and Bouzia, who have refused food for weeks, are protesting their administrative detention. A Palestinian man demolished, on Saturday evening, his own home in al-Bustan neighborhood, in Silwan town, south of the Al-Aqsa Mosque, in occupied Jerusalem, to avoid more excessive fines and costs, after the City Council issued a demolition order targeting his property. The Palestinian, Abdul-Moghni Dweik, said the Jerusalem City Council and the Israeli police threatened to impose severe fines and penalties, in addition to excessive costs, if he does not demolish his home on his own. 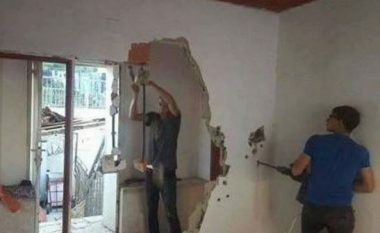 The Palestinian was told that he would have to pay at least 80.000 Israeli Shekels for the costs of demolishing his 80 square/meter home, in addition to various high fines and fees. In addition, dozens of soldiers invaded, earlier Sunday, several neighborhoods in Hebron city, and nearby towns, and violently searched many homes. The 36th regular meeting of the Syrian Coalition’s General Assembly began on Saturday and is set to last two days in the Coalition’s headquarters in Istanbul. On top of the agenda of the meetings are the situation on the ground in eastern Ghouta, Raqqa, and Deir Ezzor as well as the Coalition’s efforts to reach out to revolution forces at home through direct meetings with local councils and civil institutions as well as through the Syrian Interim Government (SIG). Tabled for discussions are also preparations for the upcoming round of talks in Geneva and the Riyadh II conference. Member of the Coalition’s political committee Muhammad Dandal said that the Riyadh II conference would help the opposition prepare for the next round of talks in Geneva and put an end to the Assad regime and its allies’ allegations about a fragmented opposition. President of the Coalition, Riad Seif, and the political committee will discuss the results of the Coalition’s recent visits to the United States and Europe. The meeting will also discuss the issue of the liberated areas, the performance of the Syrian Interim Government (SIG), SIG’s takeover of the administration of border crossings, and efforts to establish a free national army. 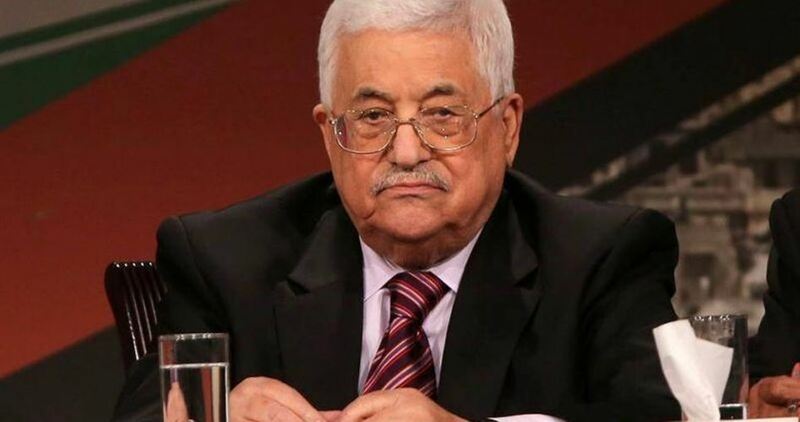 Palestinian Authority (PA) President Mahmoud Abbas said on Saturday that the Palestine Liberation Organization (PLO) is Palestinians’ only legitimate representative and that he still holds on to peace talks with Israel. “We will not accept another alternative to the Palestine Liberation Organization—the sole legitimate representative of our people and our cause,” said Abbas. Abbas also said that efforts are continuing to reach Palestinian reconciliation and reunite the West Bank and Gaza Strip. “I say to our people in Gaza that the timely implementation of the (reconciliation) agreement and the full empowerment of the government will definitely ease the hardships and bring hope for a better future for all of us,” said Abbas. “Every child who was born in Palestine will not accept to set up roots in another home but Palestine,” he added. Abbas further lashed out at the British government for celebrating the centenary of the notorious Balfour Declaration, which led to the displacement of over 12 million Palestinians. 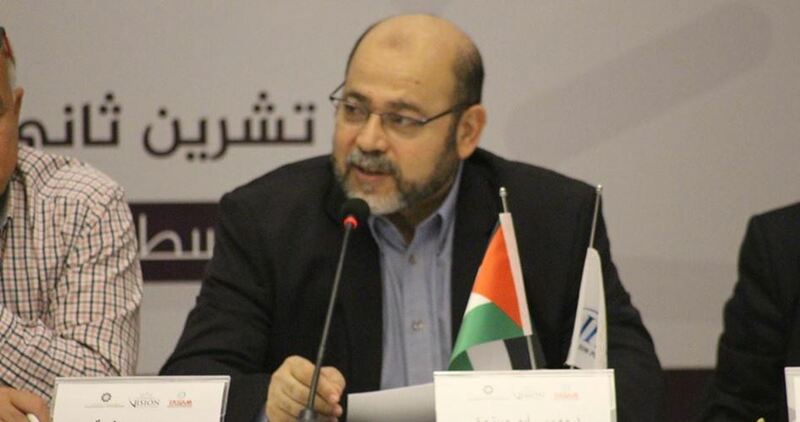 Head of the Palestinian National Initiative (PNI) Mustafa al-Barghouthi called for restructuring the Palestine Liberation Organization (PLO) and democratizing national politics in the face of the Israeli occupation. 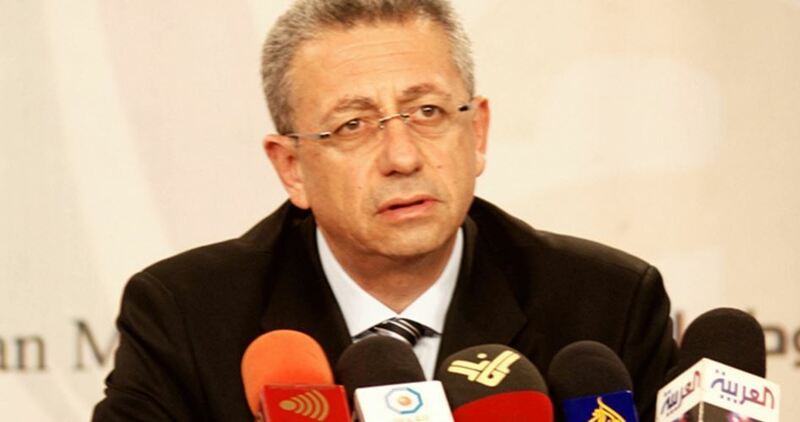 In comments made at a seminar on Palestinian politics staged on Saturday by the Istanbul-based Vision Center for Political Development, Barghouthi accentuated the need for restructuring the PLO and opt for a joint national front that embraces all Palestinians regardless of their partisan affiliations. “It is high time we revitalized the PLO as the organization has gone almost inoperative and failed to take up many of its allotted missions,” he added. Barghouthi also stressed the need to adopt a unified resistance toolbox and political strategies to stage-manage the anti-occupation struggle. The Palestinian leader highlighted the importance of political pluralism and the peaceful transfer of power. He pushed for activating the Palestinian Legislative Council and for holding elections every four years. Barghouthi urged the Palestinian factions to team throughout the national liberation struggle, work together to fix an election date, and appoint a body to speak up for the Palestinian refugee community overseas. Member of the Hamas Political Bureau, Mousa Abu Marzouk, on Saturday called for appointing two different presidents for the Palestine Liberation Organization (PLO) and the Palestinian Authority (PA), adding that Hamas does not mind if both of them are Fatah members. In a symposium organized by Vision Center for Political Development in Istanbul to discuss ways of reforming the Palestinian political system, Abu Marzouk said that the PLO must serve as the umbrella organization for all Palestinian factions as well as the PA. The Palestinian official added that the PLO leadership must be based outside the Palestinian territories away from any Israeli control. According to Abu Marzouk, reforming the PLO is going to be the most important step toward activating the Palestinian political system. He said that the absence of a unified national project has negatively affected the Palestinian cause, noting that there is a real chance to develop the Palestinian political system and establish a Palestinian state in the near future though the concept of sovereignty is limited when it comes to Palestine because of the occupation and other threats in the region. He concluded his speech by affirming that Hamas’s resistance weapons will never be a matter of discussion. The Israeli occupation forces (IOF) on Saturday evening set up makeshift checkpoints in different areas of al-Khalil province in the West Bank and kidnapped several young men. Local sources told the Palestinian Information Center (PIC) that Israeli soldiers erected road barriers at the western entrance to al-Khalil city in the area known as Farsh al-Hawa, forced Palestinian citizens to leave cars, searched them and checked their IDs. This Israeli measure caused heavy traffic jams on both sides of the road, the sources added. 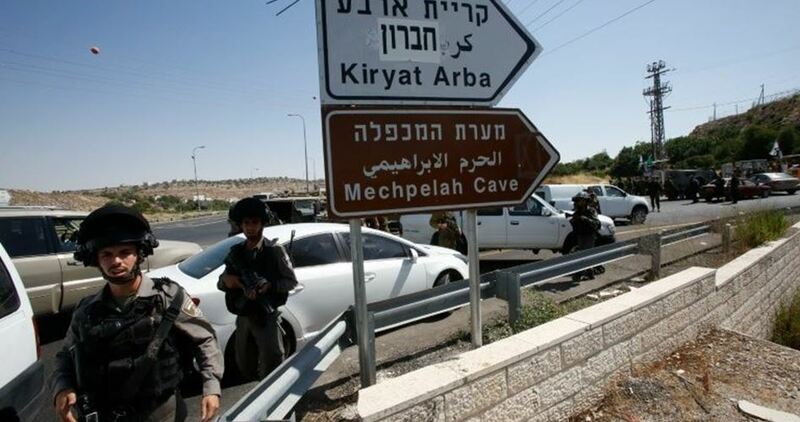 The IOF also restricted the movement of Palestinian passengers and cars on Sadat al-Fahs road, south of al-Khalil, and closed the road leading to Zif village at the northern entrance to Yatta city. Eyewitnesses reported that soldiers at a makeshift checkpoint on Sadat al-Fahs road intercepted cars for security checks and kidnapped three young passengers. 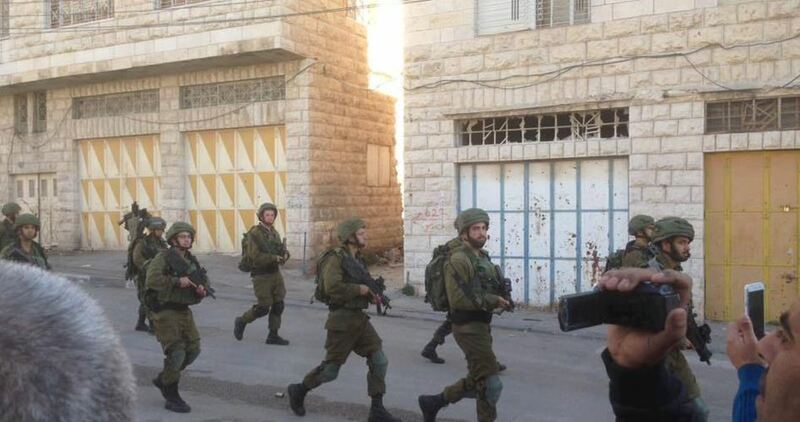 The IOF also searched citizens and cars on the road leading to the towns of Sa’ir and Ash-Shuyukh, particularly at the entrance to Beit Einun town in the east of al-Khalil. A young man identified as Hasan Jaradat, from Sa’ir town, was rounded up at this IOF checkpoint and taken to an unknown place. The Israeli occupation police continue to detain Colonel Ali al-Qaimari, chief of the Palestinian suburban police of Jerusalem, in al-Muskubiya detention center. Qaimari was rounded up by Israeli soldiers at a makeshift checkpoint on a road near Etzion area between Bethlehem and al-Khalil as he was en route to his workplace at the suburban police headquarters in Ramallah. 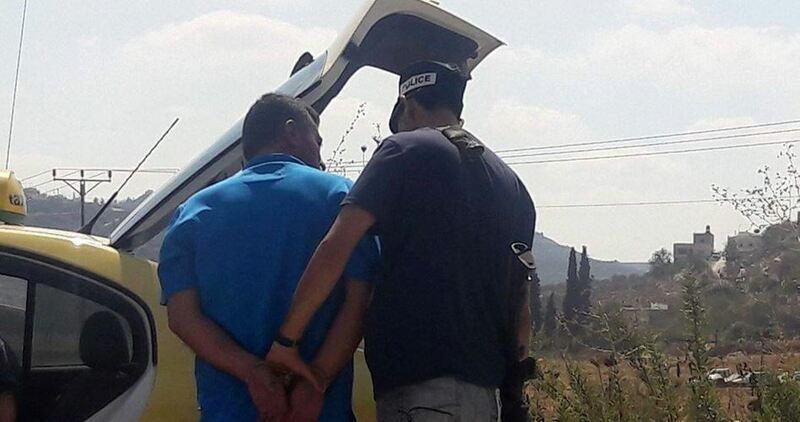 A source close to Qaimari expressed his belief that the arrest of the police chief was connected to the campaigns launched by his department against drug dealers and gangsters who have ties with the Israeli side. The Israeli occupation army on Saturday night released a young farmer from Beit Furik town in eastern Nablus hours after detaining him and confiscating his tractor during his presence in Khirbet Tana hamlet near the town. Eyewitnesses told the Palestinian Information Center (PIC) that Israeli soldiers aboard a patrol vehicle stormed Khirbet Tana, prevented farmer Ahmed Attawil from working his land, and seized his tractor at the pretext that he entered an Israeli-controlled area classified as C.
The homes of Khirbet Tana are systematically destroyed by the Israeli army and its impoverished residents are exposed to persecution and arrest repeatedly every year. In a separate incident, the Israeli army dispatched several troops to Beit Furik town to patrol its neighborhoods a few hours after soldiers clashed with local young men. No arrests occurred during the events. Israel’s Public Security Minister Gilad Erdan is set to propose a law that will allow police not to return the bodies of slain Palestinians to their families. Commenting on the proposal, Erdan claimed that funerals for anti-occupation protesters have turned into “festivals of incitement” that promote further attacks. 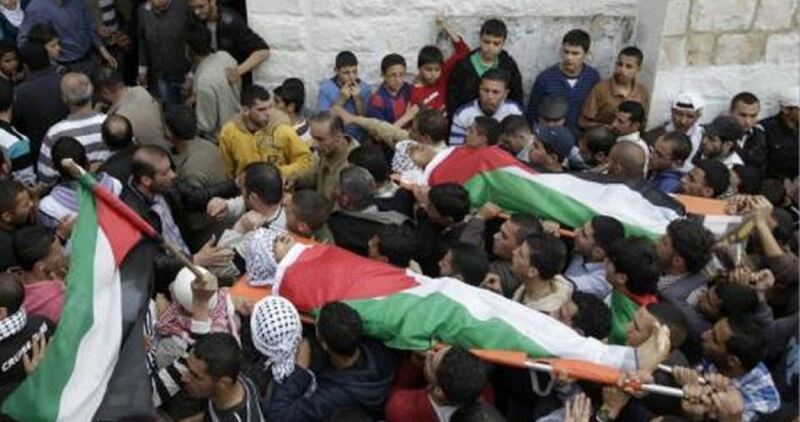 Erdan added that Palestinians whose bodies have been withheld by the Israeli authorities will be buried only if families adhere to the conditions set by police. The Israeli occupation authorities have withheld the bodies of dozens of Palestinian protesters killed by the Israeli forces following alleged anti-occupation attacks. Their families have also been made to endure tough punitive measures. Ironically, the new law would allow Israeli police to decide if families could be trusted not to turn funerals into riots.